Well… I usually don’t like saying what to bring or not during a trip, each person knows what are their essentials for a trip. 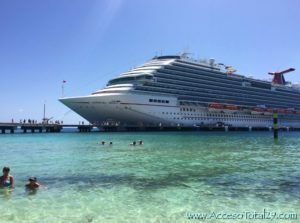 But because I’m new with cruising, I started searching what to pack for it and what it’s important or good to have it while cruising. Cash. Usually in dollars. Why? Well… tipping your cabin steward. That is why. I mean, of course having cash with you is always great for so many reasons. But, in my 2 cruises I’ve been to (getting ready for a 3rd one) one steward was better than the other, both were amazing, don’t get me wrong. But I know that their wage is not the best and they are usually working hard to bring some extra money for their family back home. So I like giving them a good tip (obviously if they are amazing) in cash. 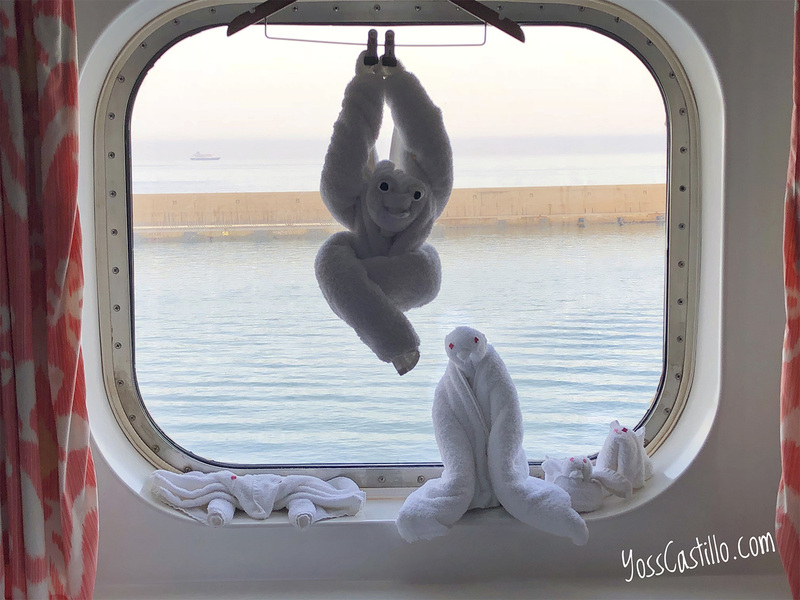 Both cruises they were amazing and made awesome towel animals… we are kids at heart and loved coming back to our cabin every night with a new one waiting for us on the bed (or hanging from the coat hanger) :). Cash tips are also good for tipping your waiter and Matre’D if you have regular assigned seating every night for dinner. In those instances, the waiters learn quickly what you like. For instance, if you drink coffee after dinner every night, by the 3rd night they’ll just bring you coffee, you don’t even have to ask. Laundry clips. Yes! This helps you in so many ways. I, for example, usually wash my underwear daily, so this is a way to hang it so they can dry, it also helps your swimsuit to get dry overnight. Get some colorful ones (so they look prettier lol) and you can use it to keep your towel stuck to the lounge chair, and no wind is going to blow it away. Downy Wrinkle Releaser. Love this… first it helps a lot with the wrinkles and smells good, so it’s a good option for refreshing anything. For the phone. Ok… one thing is a waterproof case or maybe a ziplock bag to protect your phone from water. Another thing I love, this is something I learned from visiting Disney Parks a lot (so I don’t bring my purse) a phone case with card holder. With that, at least I do it, you can take your phone everywhere for photos or check the itinerary for the day on the cruise, and also keeps your room key and maybe an ID (even when I’m way over 30, people still ask for my ID lol which I love :)) Other people prefer an ID card holder (or a lanyard) hanging in their necks… not me. Multi plug outlet. Because I travel everywhere with my cameras, plus phone, plus laptop to work or classes, I need this. But it also helps if you are not alone. In the 2 cruises I’ve been in, there was an outlet in the bathroom area and another one out by the desk, and we were 2 that wanted to charge our phones plus, everything I mentioned. This helps so much because you can charge many devices at the same time. Mine has 3 regular plugs and 2 usb. Insulate mug. Ok… for my 1st cruise it was perfect because I was allowed to bring 2 bottles of wine, so I brought one cheap and my favorite one. The cheap one I just mix it with sprite and ice, and I got me a ‘tinto de verano’ cold drink (from Spain) for those afternoon by the pool. Also I like keeping water close to me at night. In many ways the mug helped me a lot. Even for bringing water on an excursion. Do you think there’s something extra to bring? A ‘must’ item for a cruise? Let me know!